If you are an elderly individual, or are the caregiver for one, in or around the Long Island, NY area you likely find yourself in need of reliable, trustworthy community resources on a regular basis. If so, we would like to help. The following community resources can help you find much needed services, advice, and support. Emergency numbers are also important to have handy, particularly if you are a senior or are caring for one as injury and/or illness can occur at any time. Winthrop University Hospital — 866-WINTHROP offers a wide range of routine healthcare services as well as urgent care. South Nassau Communities Hospital – (516) 632-3000 offers a wide range of routine healthcare services as well as emergency care services. Belair Nursing and Rehabilitation Center – (516) 826-1160 offers skilled nursing services as well as pulmonary rehabilitation, heart failure services for CHF, cardiac recovery, amputee rehabilitation, stroke rehabilitation and wound care management. Meadowbrook Care Center – (516) 377-8232 extended care and short-term rehabilitation facility. Neconset Center for Nursing and Rehabilitation – (631) 361-8800 specialized in-house programs include short-term subacute Rehab and long-term care, short-term post hospitalization and post acute care, as well as Adult Day Health Services. Nursing Home Compare – a Medicare tool that allows you to search for and compare nursing homes. Michael J. Grant Funeral Home – (631) 273-4443 we provide superior service and top quality merchandise at a sensible price. Nassau County Office for the Aging – (516) 227-8900 offers a full range of information, assistance, and consultation services to older persons and their families on a person-to-person basis. Nassau County Adult Protective Services – (516) 227-8083 investigates and provides protective services to adults 18 years of age or older without regard to income. Nassau County Veteran’s Service Agency (516) 572- 6560 handles the processing of claims for compensation, pension benefits, educational entitlements, property tax exemptions, and burial benefits, and assists with the appeals process. CASA — Coordinating Agency for Spanish Americans (516) 572-0750 Spanish speaking senior citizens may obtain literature, advice and consultation from agencies. 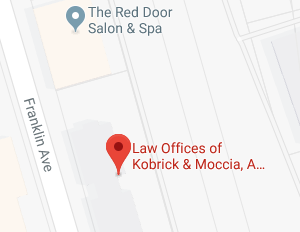 If you have additional questions or concerns regarding elder law or issues that impact the elderly in Garden City, New York and in the Long Island area, contact the experienced New York estate planning attorneys at The Law Offices of Saul Kobrick, P.C. by calling 800-295-1917 to schedule your appointment.